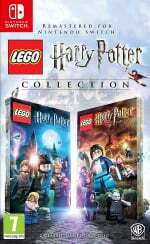 This game brings together LEGO Harry Potter: Years 1-4 and LEGO Harry Potter: Years 5-7 - which both originally released on the Wii - seeing all seven books (and eight films) represented in one lovely package. 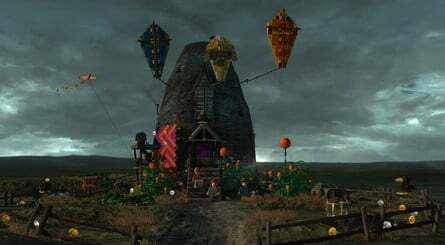 The games take you on a comical journey through Harry's magical world, right from the opening moments of Harry Potter and the Philosopher's Stone - with baby Harry being delivered to the Dursleys - to the final moments of The Deathly Hallows and the epic fight against Lord Voldemort himself. The Collection features enhanced graphics and environments, with boosts being given to the lighting and visual effects, too. 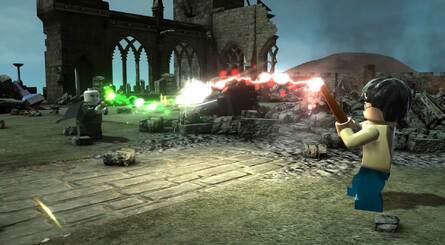 The two previously offered DLC packages are also included, giving players access to the 'Character Pack DLC' - in which you can play as Godric Gryffindor, Harry (Yule Ball), Helga Hufflepuff, Lockhart (Straightjacket), Luna (Lion Head), Peeves, Hermione (Pink Dress), Ron Weasley (Ghoul), Rowena Ravenclaw and Salazar Slytherin - as well as a 'Spell Pack' featuring Cantis, Densaugeo, Ducklifors, Melofors and Tentaclifors. Are you a Potter fan? Will you be ditching your Muggle status to face off against the Death Eaters? Let us know if you'll be grabbing this one on Switch in the comments below. Awesome timing, almost finished with the books and ive never played these. Day 1 for sure. Hey, the release date for LEGO Harry Potter is EXACTLY Same with my Birthday (30 October 2018) ! But..... i'm NOT a fan of Harry Potter. Maybe another LEGO games for Nintendo Switch. Btw, i will be 34 years old on that day. I've played the first game on Xbox360 maybe and have the second on 3DS but abandoned it a long time ago. This might be the ultimate collection for me, HD, handheld/TV, however I want. That's why Switch is the greatest of the current consoles. 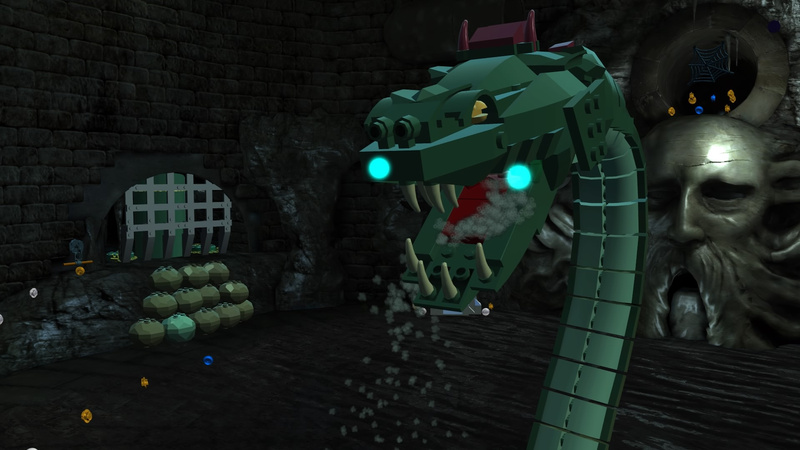 Surprised we haven't had a Lego Fantastic Beasts game yet. Already played the games on Wii; I wasn’t the biggest fan of them but I’m glad they’re coming to Switch. I wonder if the Lego games are good. Huge HP fan so if ALL are on the cartridge I will consider buying it. Played the originals but I will likely get them again, these were among some of my favourite Lego games, I really hope they bring the Star Wars, indie and LOTR ones over too! Cool - these were some of the better LEGO games, in my opinion. LEGO Star Wars collection on Switch would be nice too. PORTS! Am I doing that right? Was this supposed to be a direct surprise? Will the game allow you to quick save anywhere in the middle of a level? If so, I’ll get it since I mostly play the Switch on the go. @superpotion this was leaked a month or 2 ago. Never played any of the LEGO games but if I were to get one it would be Harry Potter. My God, enough of Lego games! WB give us Batman Arkam series, Mortal Kombat, Injustice 2, anything but Lego games!!!!! Niiiiice! I'm adding this to my list of wants. This game already have one. Can be make like LEGO Godzilla. My kid is about to finish reading the Goblet of Fire and will soon start the Order of Phoenix. The movies got him into reading the books. This game collection will be a perfect gift paired with the Noble Collection Wand for Christmas. My girlfriend/ wife and I loved it on Wii. Lego games just aren't the same without Trophies/Achievements, which is what makes them fun little collect-a-thons. Buying this to play with my wife and our kid. We played Batman 3 together for countless hours and she's a Potter fan so it should be a lot of fun. Happy this made it to the Switch. I'd be willing to give these a shot. 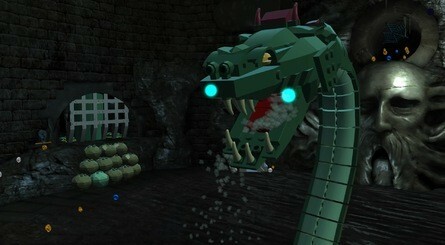 I'm not too overly fond of how some LEGO games are set up, but I'm a big Harry Potter fan. I'm willing to overlook my usual issues, and apparently these are some of the better-received games. I would have preferred a LEGO Star Wars collection but oh well. If I get this it won’t be until after Christmas. @Anti-Matter can you please stop spamming the comments wih your random thoughts? I realized the date release of that game was Coincidence matched with my Birthday. I was surprised to know. @Anti-Matter He's just being rude, man, don't worry about it. Your comment was perfectly relevant, and actually related to the post in some fashion, unlike his. That said, I want to dig these Lego games, but for whatever reason, of all of the ones I've tried, I can't find any enjoyment. My friends are nuts about them. Maybe a new Lego Racers. @RichardZ Just learn to ignore most of his comments. Most if them are the same anyway. He hates 18+ games, he hates PS4 and Xbox, and the most important thing is that he likes muscular guys because of some fetish. The other crap are personal issues with everything. @WesEds Ok that is nice. Going to buy if ALL is one one cartridge. Umm.. yes! I will definitely be double dipping for this! It's a shame they won't have voice acting though. 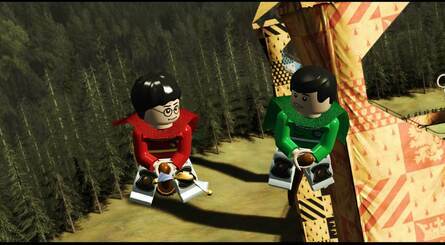 I remember there were no voiceovers for LEGO games back when this originally released so doubtful it's been added. Easily some of the better Harry Potter games in general, and they're also some of the better Lego games, along with Lord of the Rings and the original Star Wars games. I have them on PS3 from years ago, and I recently got the collection for PS4 out of the bargain bin. Don't think I'll buy again, but maybe someday I will if I get a deal on it. I do love Harry Potter. @Anti-Matter Just ignore them, they're being rude. Everything I've seen you post on the site has been relevant in one way or another, even if it's just personal opinion. And I'm 34 as well. But, I'll definitely pick this up. I enjoyed the first set on the PS3 I believe, and never got around to the second. All the Lego games have been enjoyable at the very least. Big Potter fan but I couldn't remember the "thought you ought to know" reference. Got it now though. What is the price on this collection? I am pretty stoked about this but I cant aford to pay a full $60 retail price. @Zuljaras or "I want more 3D games"
@Dpullam can’t seem to find pricing anywhere. The collection was $49.99 when released on PS4, currently goes for $19.99 on PSN & Best Buy. Know this doesn’t really mean anything when it comes to Switch/Xbox but ok hoping for $39.99. Good think is LEGO games always go on sale & usually rather quickly so even if it is $60, you should be able to get it much cheaper after a short wait. Definitely under consideration! LEGO Star Wars and Indiana Jones were amazing, and I've played only a couple hours of Harry Potter ones on PC. Should be perfect for Switch. YES! 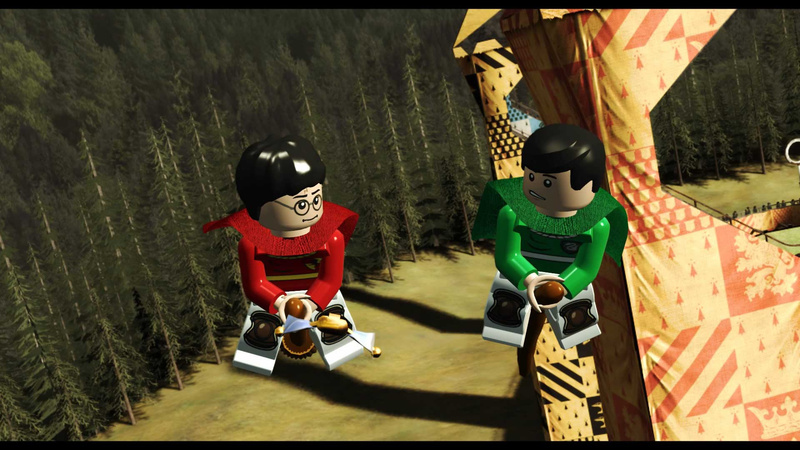 Lego Harry Potter! I played 70 hours on my 360 back in the day, and a game-breaking bug made it impossible to collect one of the special bricks. So I restarted the game from scratch just to work around the bug and get the brick. That's how much I enjoyed the game. However, no way is this going for full retail. The XB1/PS4 versions are $32CDN on Amazon. If they think they're going to put it on Switch @$69.99, no. I really hope to see Lego Star Wars, Indiana Jones, and Batman make a comeback on the Switch. Those Lego games had real magic behind them. This was ported to the PS4 not to long ago... would be nice to see some of the other lego games. or a actual new Lego that's fully different to all of TT's lego games heck a New Lego Racer would be nice. I'm a sucker for the Lego games. Take my money. I don't know the answer to this but you don't really need quicksaves on the Switch. You can just pause the game and put it into Sleep mode. The next time you want to use it, you'll continue exactly where you left off, without any waiting. No home console can do that. Hmm here is hoping for lego LOTR. Just bought the fall of gondolin so im in the mood. @Sephiroth51142 British name for the Sorcerer's Stone. Philospher's Stone also happens to be the actual name of that legendary item, but that book title was deemed too highbrow for us ignorant Yanks. Honestly my least favorite LEGO games. I do hope this means more potential ports though, I have loads of nostalgia for the series as whole! Thanks for the tip. I heard about the sleep option but never used it. How fast does it drain the battery on sleep mode? After 6-7 hours of sleep, battery percentage goes down on mine only 1-2%. And that with Wi-Fi left on as I rarely feel the need to put the machine to airplane mode ( which would probably save more battery). For the first few years that I had my 3DS, I've always switched it off after gaming. Since I realized how little sleep mode drains its battery, I've always left it in sleep mode after a gaming session. I do the same thing now with the Switch. I literally never turn it off. Does anyone have an idea when this will be available for pre-order or at least we know what it will cost, if we don't already. I still can't find a placeholder on amazon nor gamestop new about it.